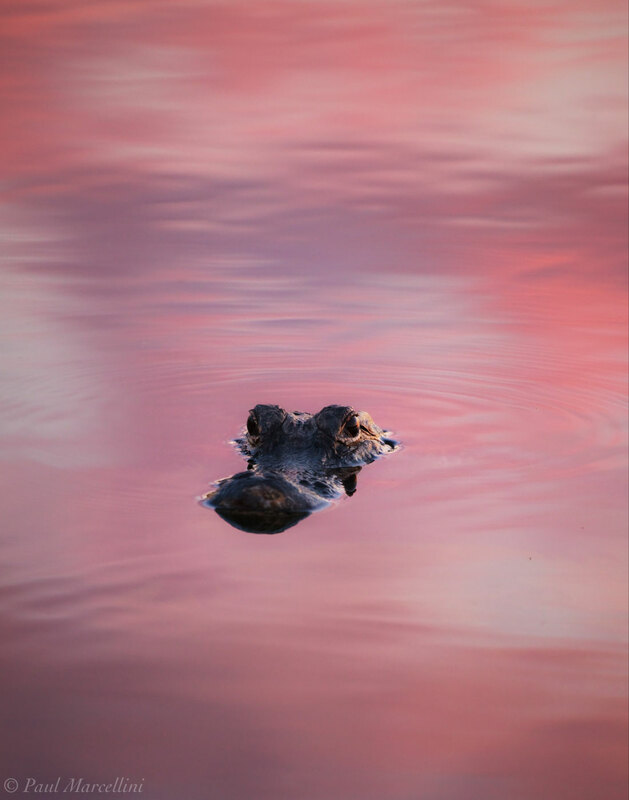 An American Alligator (Alligator mississippiensis) in the pink reflections of sunset. This image can be printed in different aspect ratios, please pay careful attention to the sizes. Photo © copyright by Paul Marcellini.